Roger performed on Show 322 in Davis, CA, on March 18, 2016. 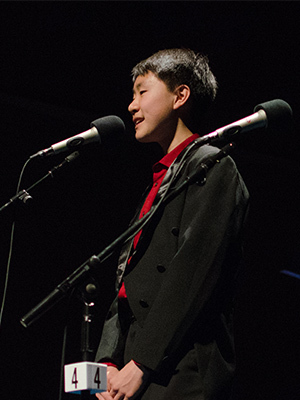 Roger Xia (piano), 13, is an eighth grade student at the Oliver Wendell Holmes Junior High School in Davis, California. He studies at the preparatory school at the San Francisco Conservatory of Music and he is a member of the San Francisco Symphony Youth Orchestra. He studies piano with Dr. Natsuki Fukasawa. He has won many awards and prizes such as first places in United States Open Music Competition, Sylvia Ghiglieri piano competition, CMTANC International Youth Music Competition, Classical Masters Music Festival Competition and the most recent 2015 Mondavi Young Artists Competition. Aside from music, Roger enjoys math, computer games, movies, swimming and playing soccer and Ping Pong.